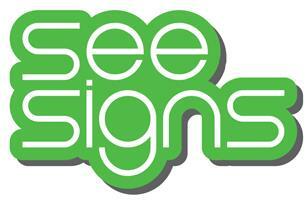 See Signs Ltd - based in Hindhead, Surrey. Banners, signs, posters, vehicle graphics, exhibition graphics, point of sale displays, pull-up stands, pavement signs, magnetic signs, event signage, flags, canvas prints, business stationery, you name it, we print it! For more information, or to get a quote, please email [email protected] or call 07938 670671.